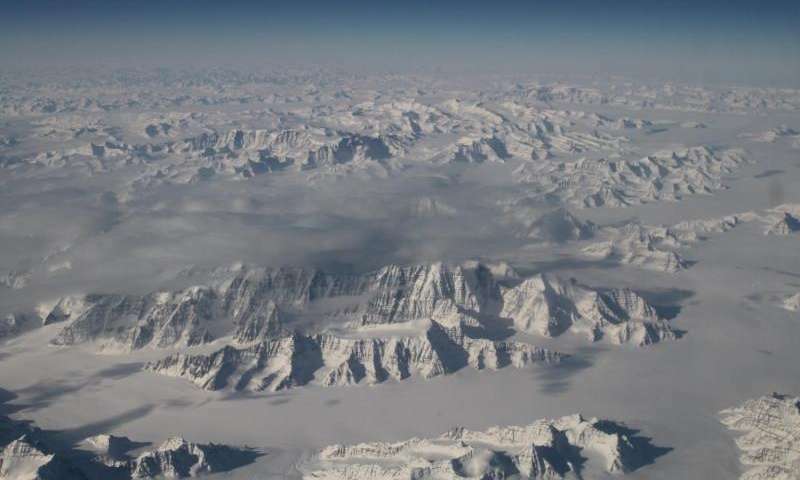 The Greenland ice sheet is often seen as a pristine environment, but new research has revealed that may not be the case. A Danish-led study, published today in the journal Environmental Research Letters, examined how microbes from the ice sheet have the potential to resist and degrade globally-emitted contaminants such as mercury, lead, PAH and PCB. Dr Aviaja Hauptmann, from the University of Greenland, led the research. She said: "Globally emitted contaminants accumulate in the Arctic and are stored in the frozen environments of the cryosphere, essentially meaning they have become reservoirs of toxic chemicals. "Our understanding of how biological processes interact with contamination in the Arctic is limited, which is why we hope our study represents a large step forward in the understanding and solving of this problem." The researchers took samples from multiple surface ice locations on the Greenland ice sheet, which they analysed using metagenomic data and binned genomes. Their results show that the microbial communities found in the ice sheets have the potential to resist and degrade contaminants. Dr Hauptmann said: "The microbial potential to degrade anthropogenic contaminants, including polychlorinated biphenyls (PCB), polycyclic aromatic hydrocarbons (PAHs), and the heavy metals mercury and lead, was found to be widespread, and not limited to regions close to human activities." They also found that binned, or grouped, genomes showed close resemblance to microorganisms isolated from contaminated habitats. Since the genetic potential of contaminant resistance and degradation usually indicates the presence of the relevant contaminants, their results indicate that, from a microbiological perspective, the Greenland ice sheet is not a pristine environment. Dr Hauptmann added: "More attention needs to be paid to the potential release of anthropogenic contaminants in this fast-changing environment. As the ice sheets melt due to climate change, they have the potential not only to increase sea level, but also pollute the environment around them through the release of other anthropogenic pollutants that have accumulated in them." Current chemical analysis allows detections of toxins in parts per trillion concentrations in most instances. I would be much more impressed with direct measurements of such toxins and their relevant concentrations than in the presence of proxies like microbes that eat them. Mercury and lead being "degraded" by bacteria sounds dubious. Perhaps they are rendered safe by conversion to some other compound. Mercury, may go to the more toxic methyl mercury.